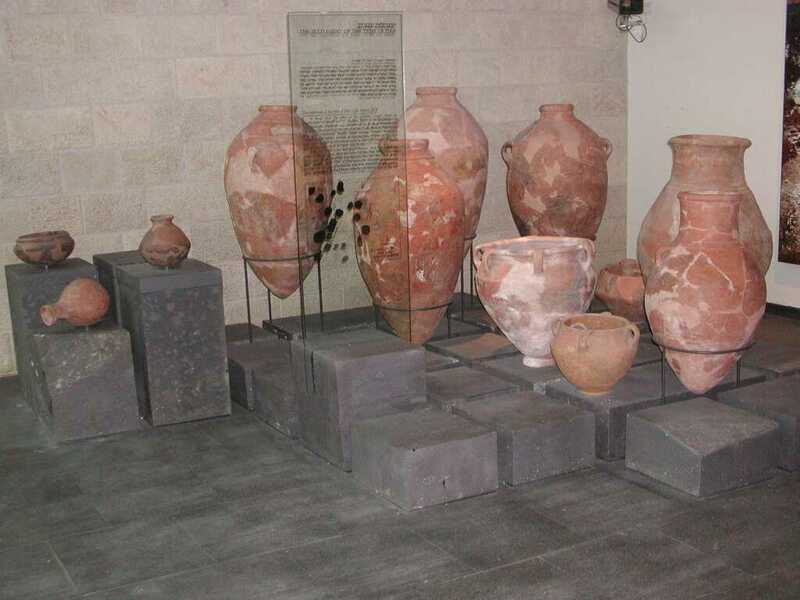 After a brief exploratory excavation by Z. Yeivin in 1963, Avraham Biran, then director of the Israel Department of Antiquities and Museums, embarked in 1966 upon the first of a remarkable 33 seasons of excavation. 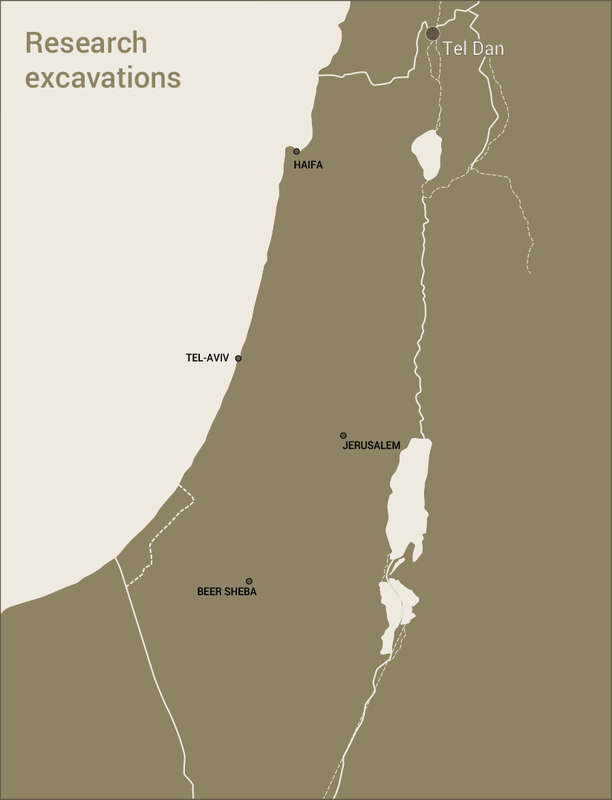 In 1974, Biran moved to the Hebrew Union College to direct the Nelson Glueck School of Biblical Archaeology, bringing the project with him. 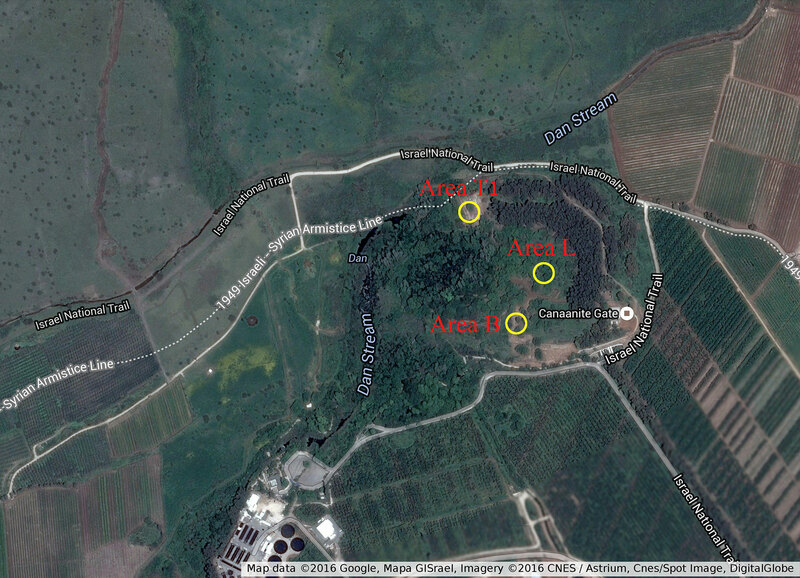 Over the years, seven areas were excavated on the site, five of them along its perimeter. 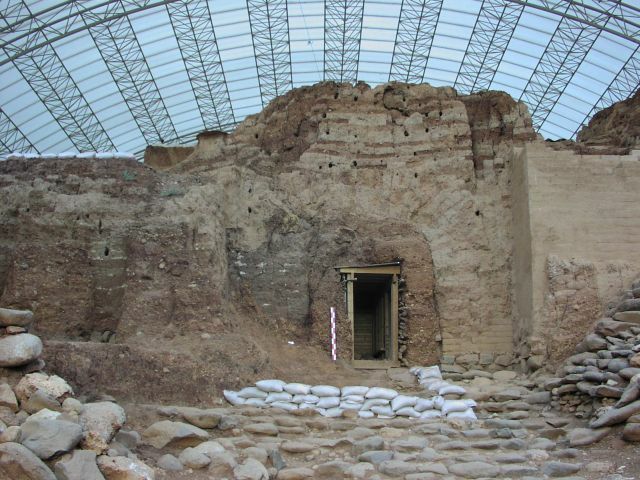 Among the significant finds were the massive Bronze Age ramparts, an intact mud-brick gate of the Middle Bronze Age with three complete arches, a variety of Middle Bronze Age tombs and burials, the Late Bronze Age “Mycenaean Tomb”, a rich stratum the early Iron Age, associated with the Israelite Settlement, including grain pits, hundreds of complete ceramic vessels, a recycling metallurgy industry and a dense array of domestic architecture. 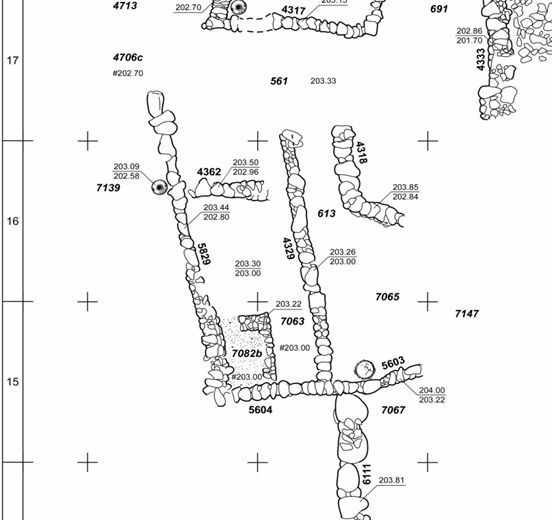 A sacred precinct (high place) and a series of gate complexes dating to the Iron Age II represent perhaps the most visible and evocative remains at the site. These features, now partially restored, testify to the importance of Dan as a religious center for the ancient Kingdom of Israel. 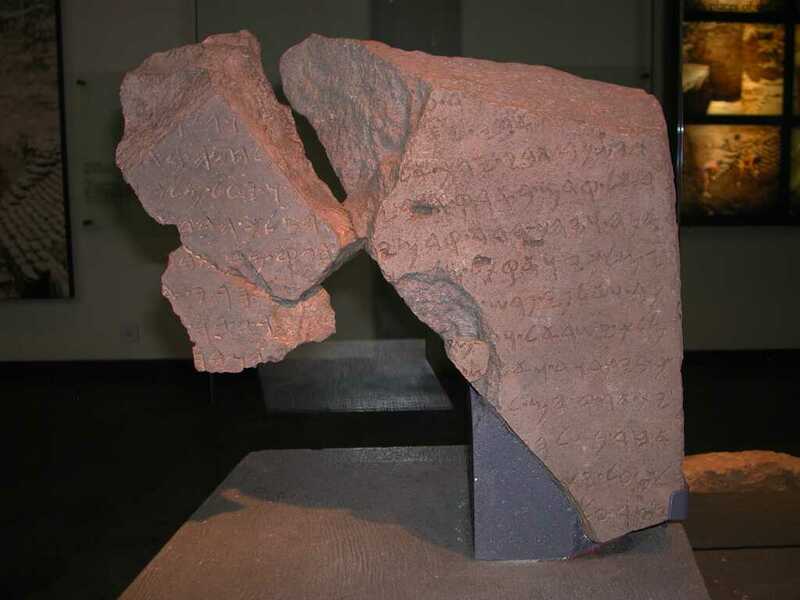 For many people, the most significant discovery of the Iron Age is an Aramaic inscription, in three pieces, that mentions the House of David and a king of Israel. This inscription was probably written in the second half of the 9th century, by the Aramaean king Hazael (II Kings 9). It is the only clear Iron Age (i.e nearly contemporary) reference to David outside the biblical text. 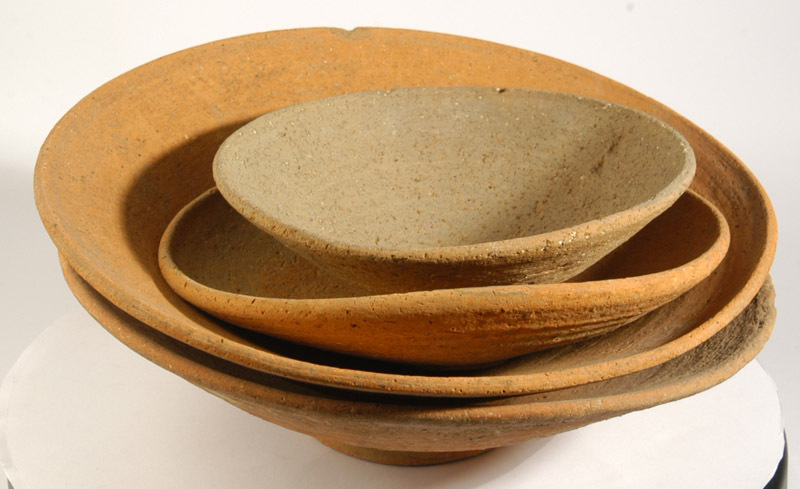 Its shattering ought to be dated to the first half of the 8th century and most probably testifies to the city’s recapture by the Kingdom of Israel at this time (by Jeroboam II?). Sometime after 750 BCE the entire site was destroyed in a great conflagration, probably wrought by one of the invading Assyrian armies. Biran suggested this might be Tiglath Pilesar III but there is no reference to Dan’s destruction by him in either the Bible or his annals. Cultic activity continued near the high place, over several hundred years, although very little in the way of a settlement has been found. 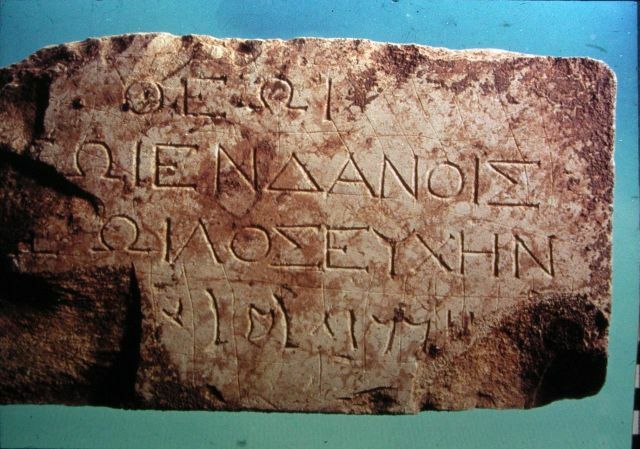 Perhaps the most significant find is a bilingual Greek and Aramaic inscription. 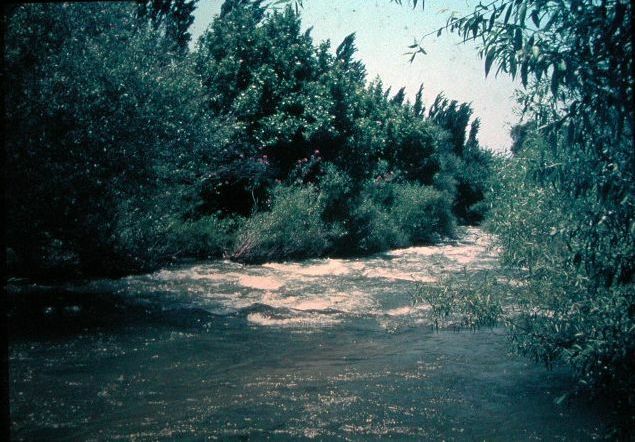 By the end of the 4th century CE, in the late Roman period, Tel Dan was abandoned. 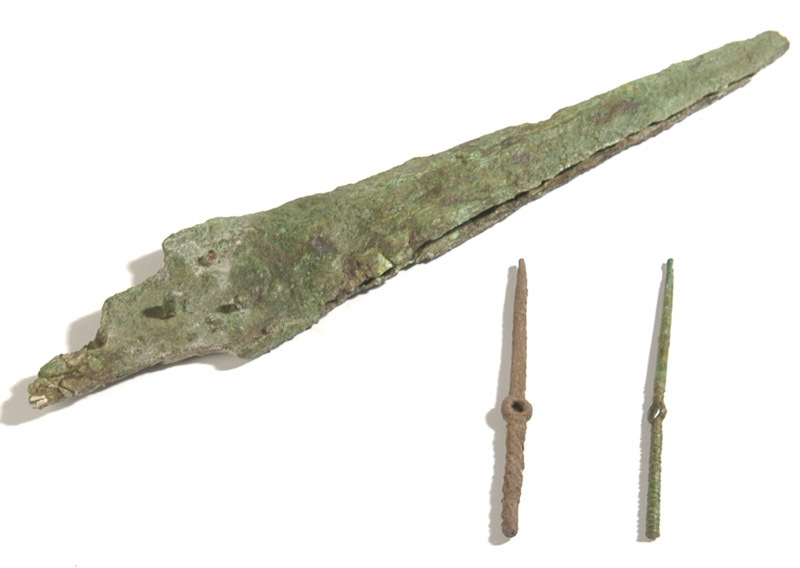 A homestead or a small hamlet may have existed on the site in the 15th-16th centuries CE, but the only substantial remains from this period are of a small cemetery on the southern margins of the tell. 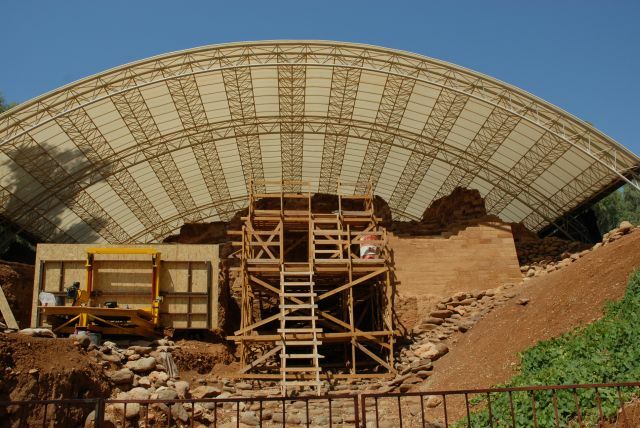 On July 21, 1993, Avraham Biran, the director of the Tel Dan excavations and the Nelson Glueck School of Biblical Archaeology drove up to Dan to meet the supervisor of the Israel Antiquities Authority reconstruction crew working at the site. Biran suggested that I go up to Dan with him to finish taking measurements in Area AB on the crest of the ramparts. When we arrived, I trudged up the tel loaded down with all my equipment and began work. At around 2 PM, in the heat of the midday sun, Biran hollered up to me to tell me that he was ready to go; I continued working because I needed to finish what I started. A few minutes later Biran yelled out again in his booming voice, “Come down already!”—he was impatient to hit the road and was irritated that I was holding things up. Finally, I finished and came down the ancient stone road, through the Iron Age gates and plopped down my bag, drawing boards and measuring rod next to a wall in Area A at the eastern edge of the ancient piazza. I bent down to lean the optical level machine and tripod down against a basalt stone at what seemed to be the southern end of a wall. Something on the exposed tip of the next still-buried stone caught my eye, but I looked away for a moment as I began to dismantle the level from the tripod. In this brief interval, my mind registered what I had seen. I looked again and said to myself, “Oh! This is a qof, here’s a mem Hebrew or Phoenician letters)! It’s an inscription…with rows of characters”. I set up my measuring instrument, Biran held the measuring rod and we took elevations of the inscription and its surrounding stones. 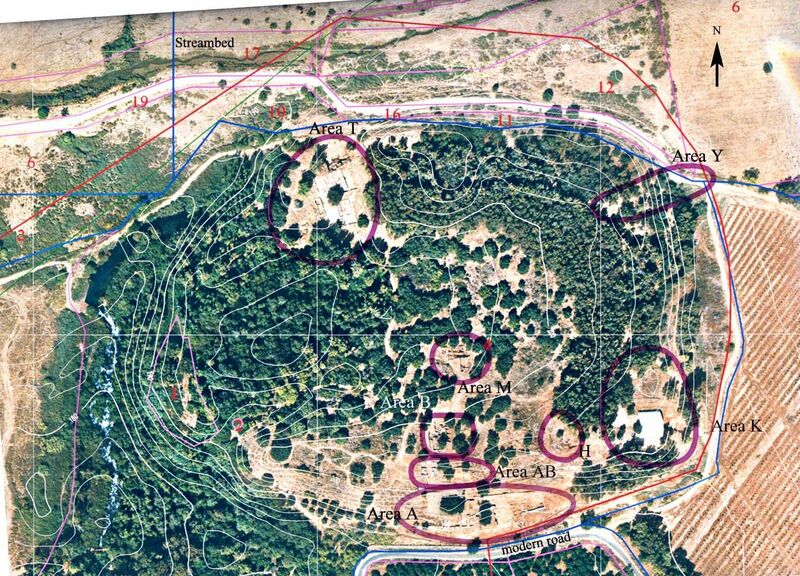 I then drew them into the existing plan of Area A. Biran photographed the stone from all angles and then brought a blanket and excavating tools from the trunk of his car. We proceeded to excavate around the stone; there was no question of leaving it in the field. We removed the stone from the wall and photographed it again from all angles. After checking the area for more possible pieces, we placed the stone on the blanket and carried it to the car. On the way back to Jerusalem we stopped off at Kibbutz Ashdot Yaakov to meet Yitzhak Kafhi, the copyeditor of Biran’s then-forthcoming Hebrew book, Dan – 25 Years of Excavation at Tel Dan. Biran wanted to show the inscription to Yitzhak. 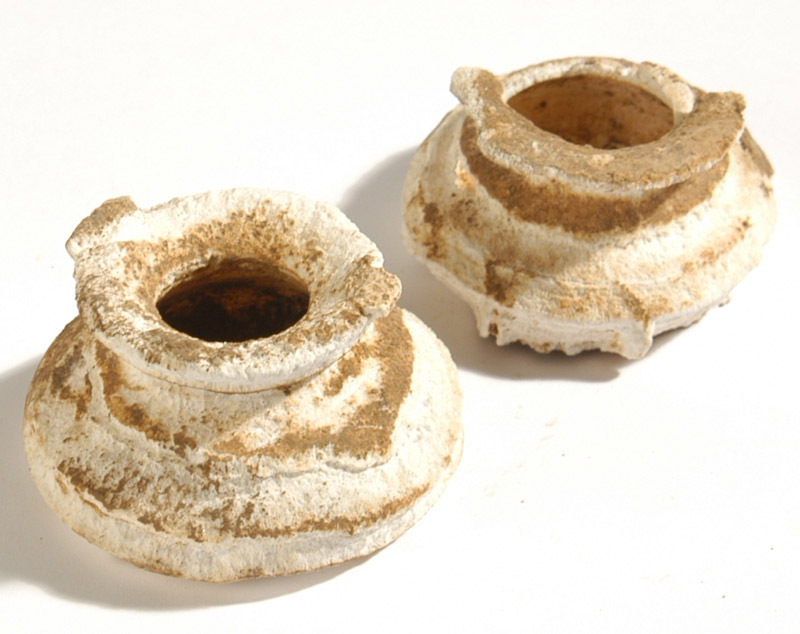 We also rang up Yigal Ben-Ephraim who was the archaeologist supervising the restoration work being carried out by the Israel Antiquities Authority and notified him of the discovery (and why there was a big hole in the ground at the south end of the still-embedded wall). Back in Jerusalem, early the next morning, Biran took the inscription to the home of Prof. Yosef Naveh, a specialist in ancient Semitic epigraphy. 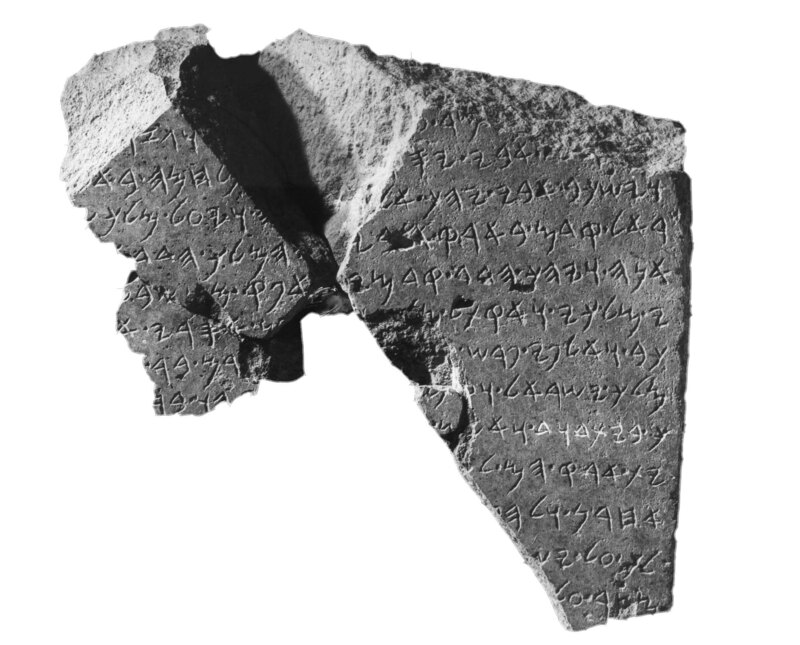 Biran and Naveh later published the inscription together in the Israel Exploration Journal. 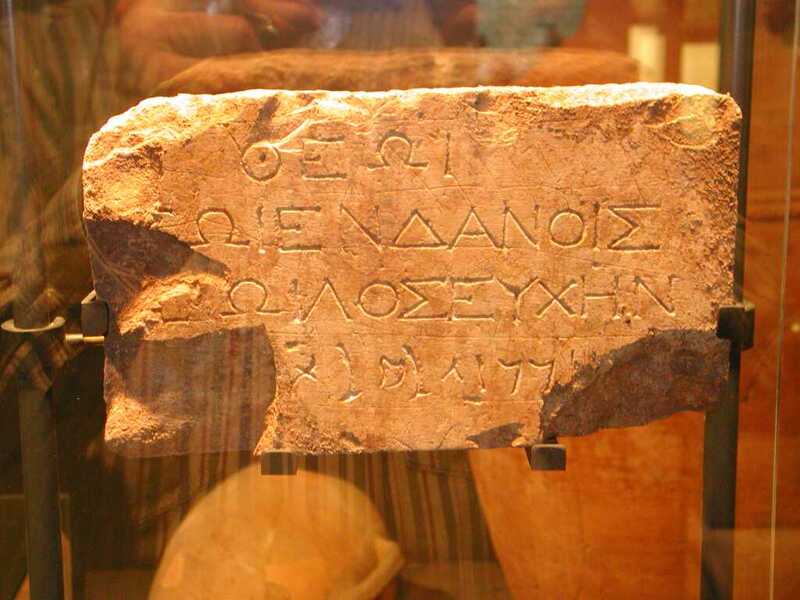 The discovery of the inscription was one of the highlights of my life and I am glad that the lighting was right, the angle was right and that I have pretty sharp eyesight. 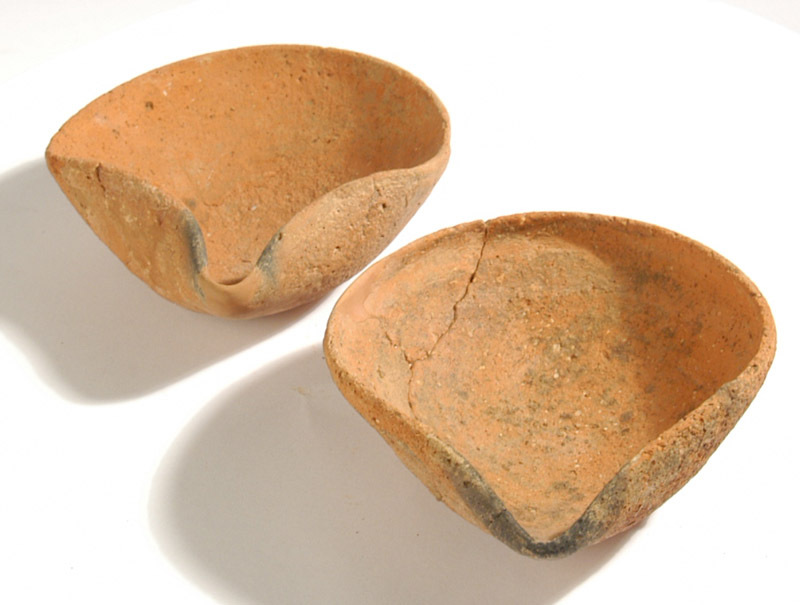 I am pleased that I recognized what I saw—it’s gratifying to know that this is one of the most significant finds in the archaeology of the ancient Near East.